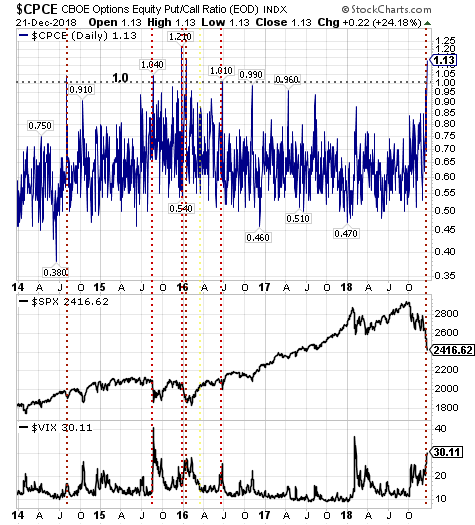 The equity only put call ratio reached 1.13 at Friday’s close. 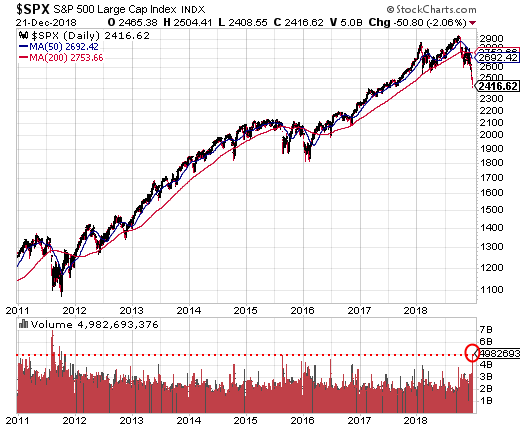 Readings above 1.0 represent an extreme bearish reading. The equity market has a tendency to reverse itself when the P/C ratio is above 1.0. The Fear & Greed Index reported by CNN Business is about as low as it can get at ‘3’. All seven of the components that comprise the Fear/Greed Index calculation are at extreme fear levels. Lastly, the NAAIM Exposure Index was reported at 31.96% this week. 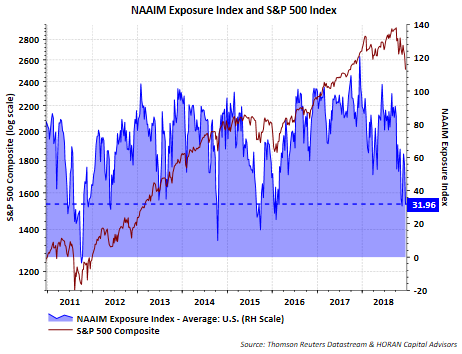 The NAAIM Exposure Index consists of a weekly survey of NAAIM member firms who are active money managers and provide a number which represents their overall equity exposure at the market close on a specific day of the week, currently Wednesday. Responses are tallied and averaged to provide the average long (or short) position or all NAAIM managers as a group. Institutional money managers have equity allocations at a level approaching those reached during the market pullback experienced in 2015.